Maral Zarandi is a licensed naturopathic physician, who earned her degree from Bastyr University. She is passionate about guiding clients through their healing journey and providing them with individualized treatment plans. Maral focuses on rebalancing the foundations of health and building meaningful connections to create a safe and effective healing environment. She primarily utilizes a functional medicine perspective to find the root cause of a condition and spends time educating clients to help them feel more confident and informed about their health. A strong advocate for integrative care, she is enthusiastic about collaborating with other health care providers. Dr. Zarandi’s specialities and interests include chronic illness, hormonal dysfunction, digestive health, and mood disorders. She is also an advocate for preventative healthcare and enjoys providing clients with resources to optimize their health. Dr. Zarandi’s therapeutic approach involves herbal medicine, hydrotherapy, homeopathy, and nutrient therapy, which she customizes to best address each individual’s needs. 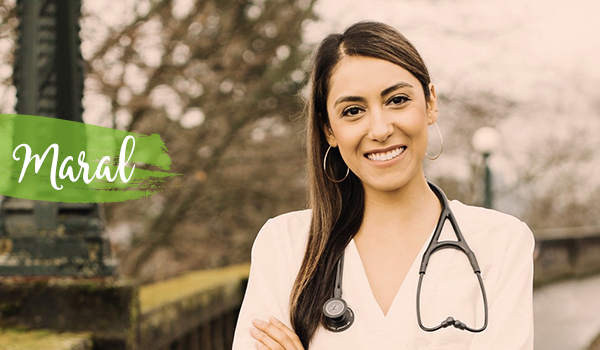 Maral is an active member of the Washington Association of Naturopathic Physicians, Gastroenterology Association of Naturopathic Physicians, and the American Association of Naturopathic Physicians. Growing up, Maral was introduced to natural therapies by her father, who was an avid herbalist. This sparked her interest in natural medicine, which ultimately guided her to the path of becoming a naturopathic doctor. She is passionate about self care and helps clients achieve strong foundations in healthy eating, stress reduction, self acceptance, and most importantly - enjoying their lives! By using specialty lab testing, genetic markers, and lifestyle factors, she can help rebuild personal health with a combination of naturopathic modalities and interventions. Help us welcome Maral to the VWS community by sending her a friendly greeting and scheduling an appointment today!